If you have poor credit and live in Texas we would like to help guide you in the right direction for poor credit loans. Did you know that 30% of Americans have bad credit? You are definitely not alone if you're one of them. Getting a loan with poor credit can seem daunting, but it is far from impossible. Even if you don't have credit at all, you can still build from the bottom and work your way up. 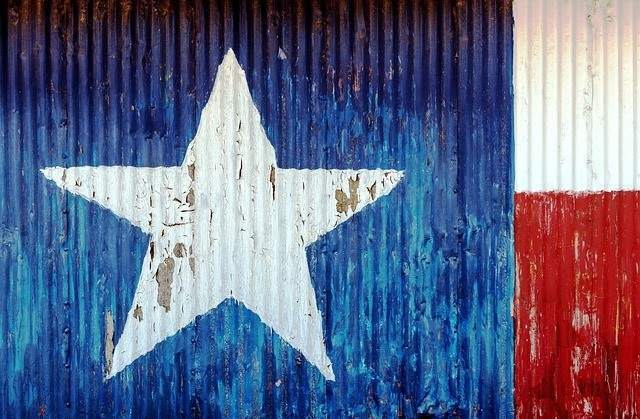 Poor credit loans in Texas are still absolutely possible. Although the interest rates may not be optimal, they can help you climb your way to a better credit score. Read on for a quick guide to borrowing money with bad credit in the state of Texas. Need money but borrowers won't lend to you because of your poor or non-existent credit history? Use a co-signer. Your co-signer is an individual who has good credit. They are, in effect, signing an agreement that they will pay off your loans in the event you are unable to do so. People may be wary of doing this for you if you have bad credit, but others may help you out of a tight spot. Often times, people go for family members to help them out of this pickle. Adult children often have parents sign for them. This is a good way to build a credit history if you don't have one yet. In the state of Texas, you can get high-interest loans. Low-interest loans are most often reserved for people who have a good credit history. High-interest loans are a good way to build a credit history or to work your way out of credit. These high-interest loans can charge as much as 25% or more in interest. Loans for people with good credit are typically much lower, in the less than 10% range. A high-interest loan is a good idea if you have the money to pay for the item or loan immediately. You can take out a high-interest loan for the simple purpose of building credit. Take out the loan and pay it back immediately, or pay off most of it. This will help your credit score begin to repair. A credit union might have lower standards than a bank when it comes to approving a poor credit loan. This can work in your favor when trying to worm your way out of bad credit. Often credit unions are driven by your profession or where you live, and they open their doors to anyone who matches that description. They also often offer a much higher, and more personal, level of service than banks. Peer-to-peer lending is a new form of borrowing. However, it works for individuals with bad credit or no credit history. It was invented in 2005 and has been used ever since. On these websites, you post exactly how much money you'd like to borrow and what you'll use it for. The investor can then decide if he or she wants to fund you. These loans still take your credit score into account. But the lender can take anything else into account he or she wants to. Interests rates are often lower and repayment can be more lenient. Both the lenders and borrowers get vetted by the website to ensure they're legitimate. High-interest credit cards for poor credit are similar to high-interest loans. They also extend a line of credit to you with a very high interest rate. Often, they are used to help people build or rebuild credit. They can have interest rates as high as 36% or more, yet help get you where you need to be. Like a high-interest personal loan, you shouldn't bite off more than you can chew. With a sky-high interest rate, you don't want to get caught with unpaid debts. Instead, you'll need to pay off a significant amount at a time, and doing so by purchase is a good idea. As with the personal loans, you shouldn't buy anything you can't directly afford with the high-interest credit card. Exceptions, of course, are an emergency. Texas has a high number of pawn shops, and they can give you immediate cash for items you might have. Selling items made of gold or silver often reap the highest rewards. You can also sell jewelry, designer bags, electronics, computers, musical instruments and video games. Pawn shops don't give loans based on your credit. Instead, it's all about the value of the collateral you've given them. But if you're looking to clear out some things, or you're OK with parting with high-value items, this is a great way to get money quickly. Family and friends may be more likely to lend you money than to co-sign a loan. This is because if you don't pay them back, they're just out of the money. If you don't pay a creditor back, their credit score can take a nosedive with yours. Directly giving you money is often much less risky. Don't expect family and friends to give you a free ride. But in desperate times, you might need to call on desperate measures. Family and friends can also draw out formal contracts to ensure that you will pay back to the loan they give you on time. While this won't repair your credit score, it will give you some options for fast cash. The internet has really changed the game as far as getting money in your bank account even if you live in rural Texas and have poor credit. Check out some of your options here. If you don't have tip top credit, all hope is not lost. Poor credit loans in Texas are plentiful. There are also many things you can do to build your credit back up to a good point. From there, you will be able to get loans any time you need them. Texaselc.org is our latest acquisition in the battle to Help Consumer Obtain Credit (HCOC). Welcome to the party texaselc. For more information on fixing poor credit and securing bad credit loans, visit our blog.